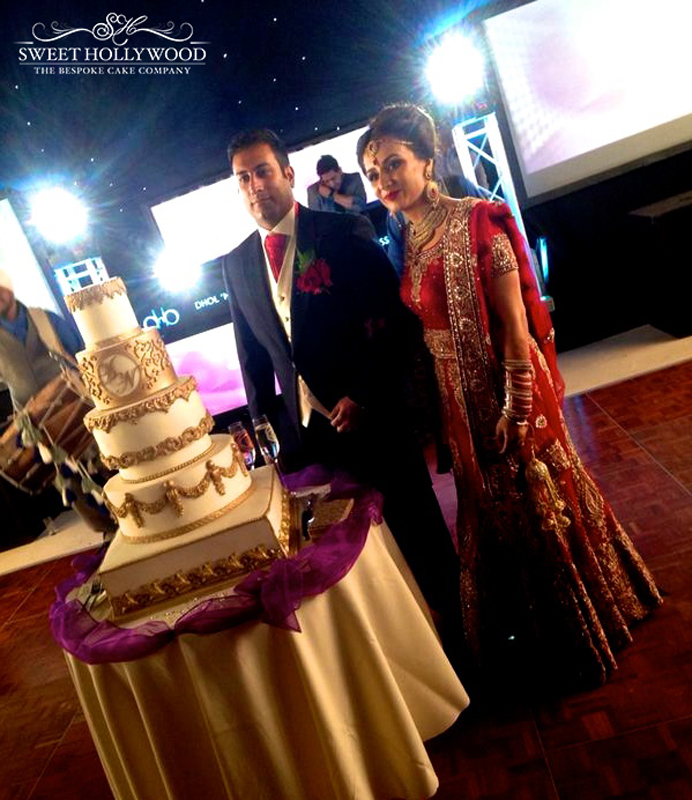 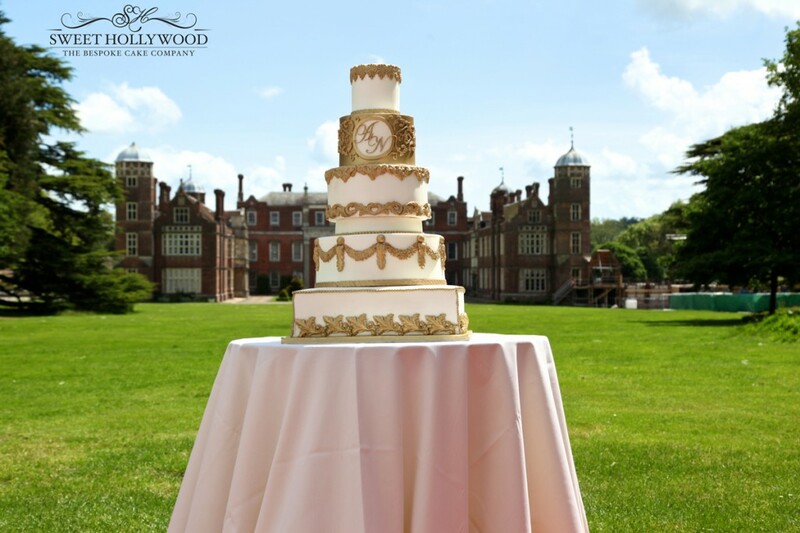 This magnificent 16th Century mansion provided a stunning backdrop for our Sweet Hollywood Regal Wedding Cake that we delivered for our clients Asian Wedding reception over the bank Holiday weekend. 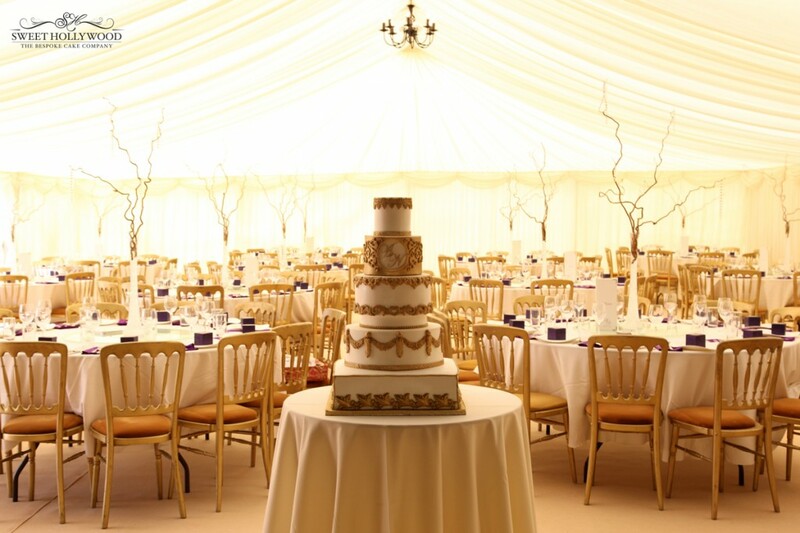 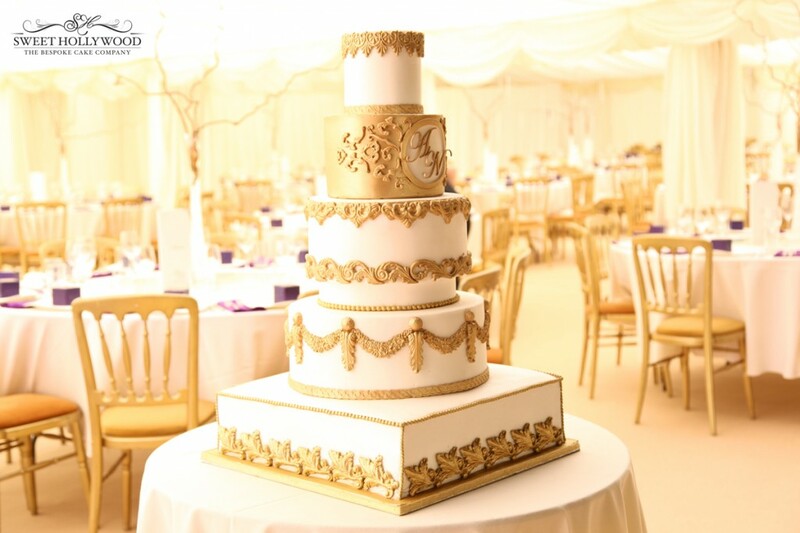 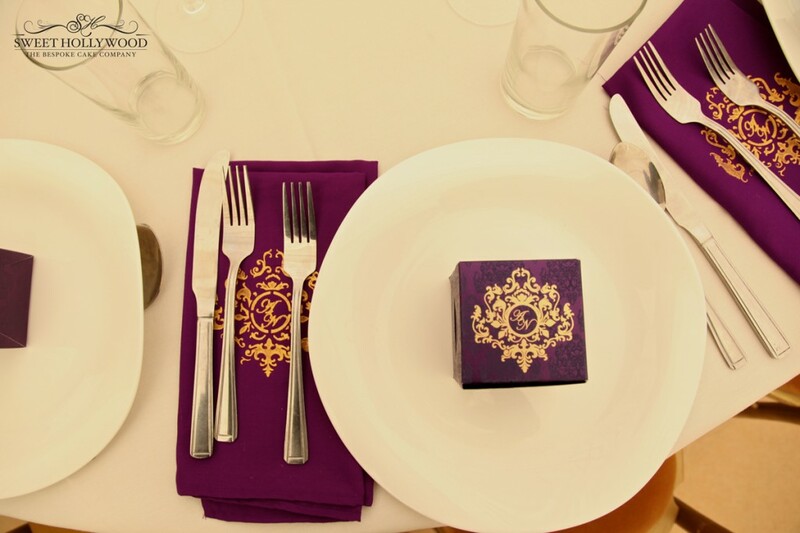 The superior five tier Luxury wedding cake featured beautiful gold detailing along with the clients personalised monogram to tie in with the look and feel of the wedding which took place @ Cobham Hall in kent. 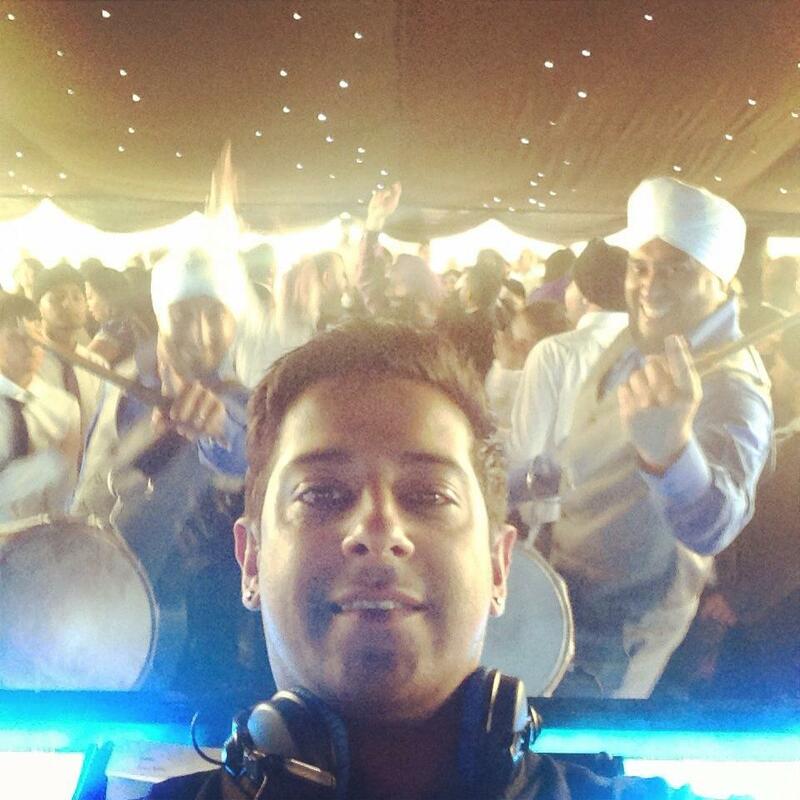 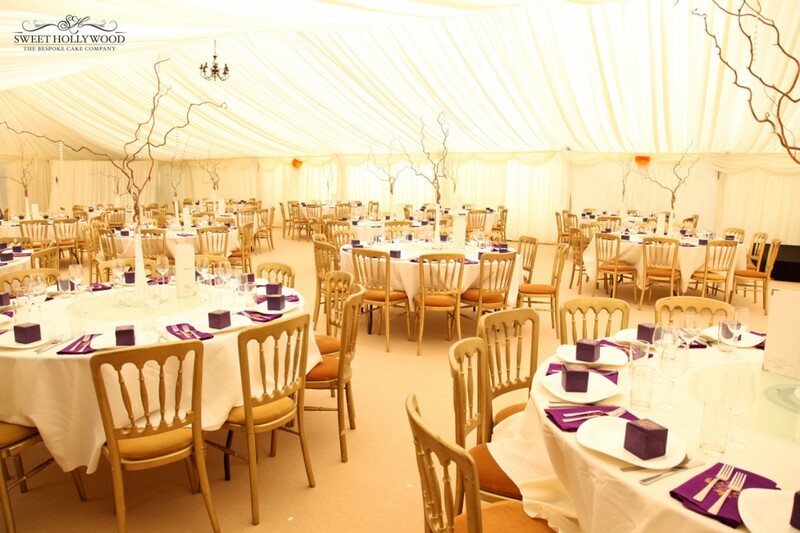 The event was coordinated by Dream Days For You and the music and entertainment was by DJ Vix from Dhol n Bass and Ministry of Dhol.